One of the goals of stem cell therapy treatment is to repair and regrow articular cartilage. Of obvious interest to doctors and researchers is how to make stem cells more viable and more effective once in the diseased joint environment. The answer maybe glucose and dextrose, dextrose is the main ingredient in traditional Prolotherapy. Mesenchymal stem cells in your body are cells that can change themselves into cells needed to repair. This includes: Bone cells or osteoblasts, Cartilage cells or chondrocytes, Muscle cells or myocytes. One source of injectable stem cells is adipose (fat) tissue. Adipose-derived stem cells are an excellent source of multipotent stem cells (cells that can transform themselves into other cells, i.e., cartilage) and are capable of differentiating into a variety of other cells that are useful for musculoskeletal conditions. Researchers at Duke University subjected human-adipose-derived stem cells to concentrations of glucose. Of interest in this study was not only did the higher concentrations of glucose cause the stem cells to proliferate (multiply) but their differentiation into osteogenic (bone) stem cell lines was only observed when the glucose concentrations were physiologically normal to high levels. Glucose was helping to make bone, If this research is applied to humans in vivo (in the body) versus in vitro (in a cell culture) then for a stem cell to differentiate into a cartilage, for instance, then it may be suggested that a normal or high glucose level is needed. Hypertonic dextrose stimulates bone marrow-derived mesenchymal stem cells to proliferate. The mesenchymal stem cell consumption of glucose increased proportionally with the glucose concentration in the medium. The higher the glucose concentration in the medium, the greater the glucose consumption by the bone marrow stem cells. The primary results note that the higher glucose and serum concentrations appear to produce higher cell populations over time. Glucose is the primary substance stem cells use for energy. Sometimes we forget the cells of the body obtain their energy via aerobic metabolism (oxygen metabolism that creates energy). The primary substrates or substances that are needed for aerobic metabolism are obviously oxygen and glucose. The body breathes to get oxygen in and we eat to breakdown the food into sugar. Even if a person just eats protein, ultimately the body finds a way to breakdown the protein into individual amino acids and eventually into glucose. Without glucose the cells and the body cannot live. Some doctors utilize stem cell therapy and Prolotherapy in conjunction with traditional dextrose Prolotherapy. They obtain the stem cells from the patients’ own bone marrow or fat and then inject them into the injured joint(s) in cases of more severe degeneration or injury/tears. When stem cell therapy and Prolotherapy is given, not only are thousands of stem cells injected into the joint, but also the growth factors that help support them. The growth factors are derived either from the bone marrow itself or from platelet rich plasma (Note: PRP or bone marrow may be utilized to obtain the growth factors). These solutions contain plenty of dextrose (glucose) naturally, so no additional dextrose is given. 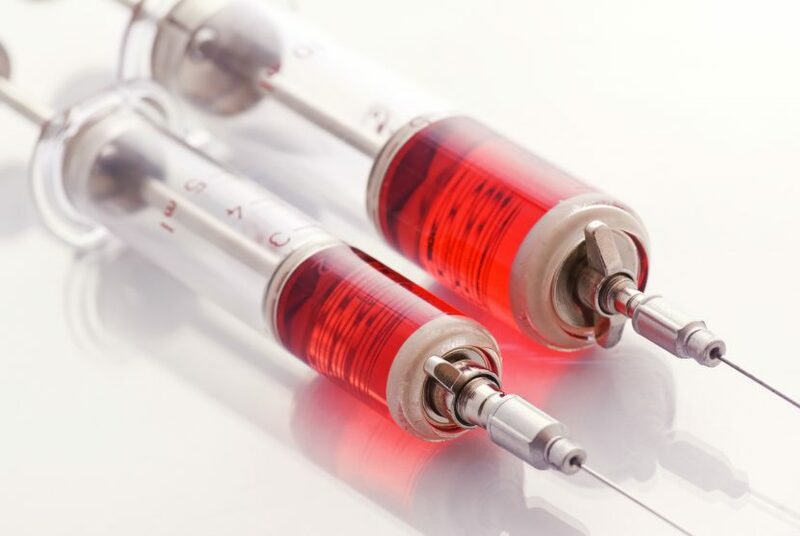 In other words, when utilizing stem cell Prolotherapy, the dextrose Prolotherapy is given to the structures outside the joint, such as the ligaments or tendons. The dextrose is not injected into the joint when stem cells are utilized because we want the maximum amount of stem cells and growth factors injected into the joint (i.e. not to utilize some of the space for dextrose, because it is naturally contained in the bone marrow or PRP solution). This combination approach can work exceedingly well to return patients to full function. There are currently no doctors listed in North Dakota, if you go to our home page http://www.getprolo.com, use the doctor locator right at the top, it will help you find the nearest doctor’s office to you. I don’t see this treatment in regards to the cervical spine. C1 – C7 Severe whiplash injury. Thank you for your question. Yes, the Journal of Prolotherapy has additional information on studies where Prolotherapy was used for whiplash. It is an effective treatment option. You may want to start there: http://journalofprolotherapy.com/?s=whiplash Also, there are many doctors who are treating whiplash with Prolotherapy who can give you a better idea about the use of it for your specific case. You may want to reach out directly to those who specialize in cervical instability and whiplash directly to collect more information on how it may help you. Wish you all the best! How effective can Prolotherapy be with frozen and is there any reoccurence of symptoms?